A lorry has shed its load on the Creagh Road in Toomebridge, Co Antrim. 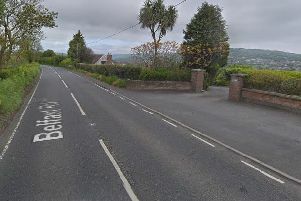 A post on TrafficwatchNI said: "Toomebridge: We have received reports that a lorry has shed its load on Creagh Road. "Seek an alternative route if possible while this is being cleared up."